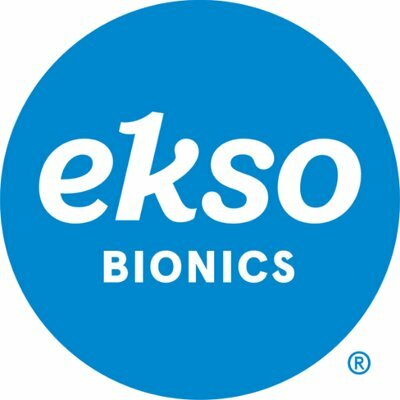 Technology in Motion is delighted to be the UK’s first Ekso Centre. As of 22nd March, our Leeds branch will be giving people with spinal cord injuries and other neurological weaknesses the opportunity to stand and walk in a bionic exoskeleton, under clinical supervision. More clinics are set to follow, creating a network of Ekso Centres across the UK. The Centre will also be used for the first UK test pilots of the exoskeleton – David Follett, Suzanne Edwards and Andrew Glenie. They have all suffered a spinal cord injury and have already taken their first steps using Ekso. Andy Hayes, MD of Ekso Bionics in Europe, said: “This is very new and exciting technology and we are working with some of the leading spinal cord injury centres in Europe to research the long term physiological and psychological benefits of being upright and independently mobile. “However, we appreciate that some people with paralysis simply want to be able to walk now, and here we can offer a safe controlled environment to do so. “The Ekso Centre will make this technology more accessible to people with spinal cord injuries who want the opportunity to use it. David, Andrew and Suzanne are the first of many, we hope, who will get to stand up and walk for the first time in years. Each Ekso can be adjusted in just a few minutes to fit most people between 5’2” (1.5m) and 6’2” (1.9m) and weighing 100kg or less, with at least partial upper body strength and good range of motion. Simple Velcro straps are used to secure Ekso safely to the user, over their clothing and shoes. The wearable robot provides unprecedented knee flexion, which translates into the most natural human gait available in any exoskeleton today. In order to use Ekso, patients will have to be cleared and screened by a physician to ensure they have a good range of motion in all leg joints, reasonable upper body strength and proficient sitting balance, and transfers from wheelchair to other surfaces. The Ekso also requires the patient to provide balance and forward momentum. Once assessed, candidates will have the opportunity to walk and train at the Ekso Centre on a regular basis.